We are proud to have delighted thousands of customers across Southampton, Hampshire, and the South Coast with top-quality air conditioning, heating, ventilation and filtration products for over 45 years. Chris and Dan Fox both joined Woodhouse as service engineers in 2006 and climbed their way up the ladder to become the company’s directors in 2018. This gives them the ultimate advantage as they’ve worked on every type of project, they can quickly help you find the ideal air conditioning solution. Still as busy as ever, Chris and Dan still meet customers regularly as they are the ones who’ll come to visit you for your free on-site audit. You can ask the experts your questions face-to-face to get honest answers from two people who know the industry inside out. We are often left shocked that new customers of ours have previously been sold air conditioning units from other providers that they didn’t get on with. They weren’t shown how to best use them, and most providers left customers not knowing that their unit could heat up their room, not just cool it down! We never let this happen. We will assess your situation to find the right product, getting you fully set up with the ideal air conditioning system that you can trust to perform for years to come. We have years of hands-on experience to advise you on your options. 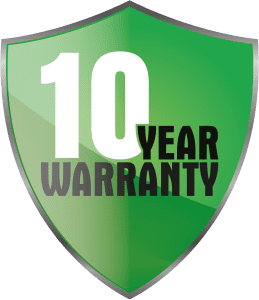 Stay protected with our 10-year warranty that guarantees your air conditioning unit will perform at the highest level for years to come.